Here at Scar Comics we like to give that little bit extra to comics shops. So if you are a comic shop here in the UK and would like to host a Scar Comics event we are always happy to help in any way we can. Maybe you’d like to host a comic art work shop with one of our artists, or a signing. If there’s any way you think we can help you sell our books, and good comics in general, just drop us a line. We are always interested in innovative ideas to bring good comics to the masses. 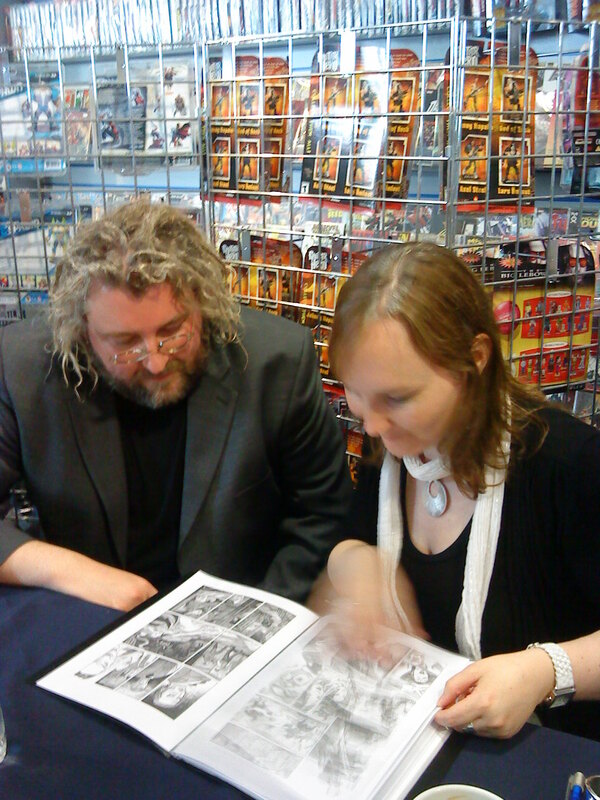 Writer Gary Young and Creator Gael McLaughlin at the Madam Samurai signing at Infinity & Beyond in Shrewsbury. Some titles like Madam Samurai are available via Diamond Distribution.